Essential info on our hours, parking, security, pay, postponement, and jury selection. You can also find Juror's Daily Reporting Instructions. Help yourself find information quickly and efficiently with the quick links A - Z index. Just click on a letter of the alphabet and see all pertinent information. 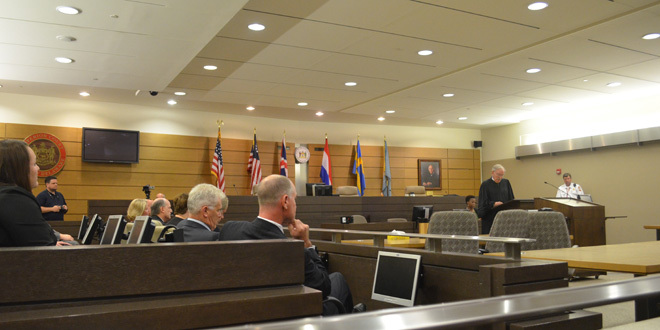 Superior Court presides over criminal and civil cases. Find out information on our Judicial Officers and Judges. 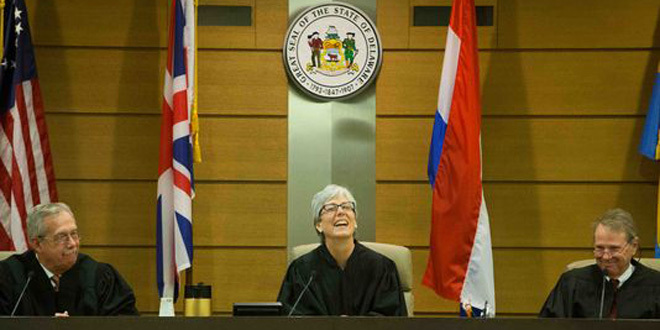 Also, view Superior Court Opinions, rules, and other useful information. 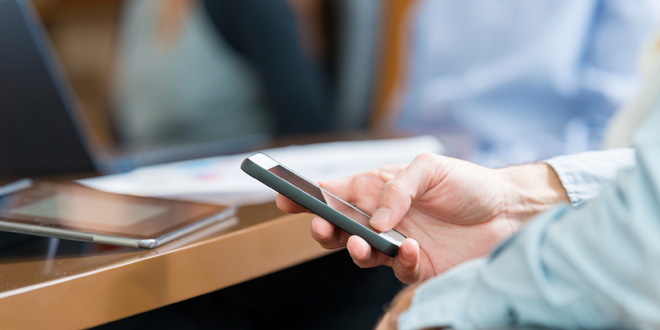 Let Superior Court's iCourtClerk™ online service assist you in finding information and answers to your questions about Superior Court. 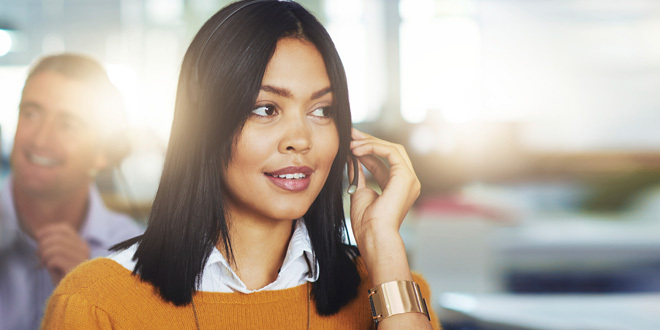 Our listserv Members get the first alerts on vital new information and updates. Become a Superior Court Listserv Member today and get notifications now! These specialized courts have been driven by the desire of judges, prosecutors, attorneys, and our other partners to respond more effectively to crime and individual problems. This month a delegation of six high ranking judges from Taiwan met with President Judge Jan R. Jurden and the four Delaware Superior Court Judges who preside in the state's Complex Commercial Litigation Division (CCLD). The Honorable Michael Patrick Reynolds was appointed by former Governor Thomas R. Carper on October 17, 1994 and served as a Court Commissioner of the Superior Court in and for New Castle County until his retirement in September 2015. The Honorable Janine M. Salomone was publicly sworn in as a Commissioner of the Superior Court of the State of Delaware at 3 p.m. on March 29, 2019 in Courtroom 8B at the Leonard L. Williams Justice Center in Wilmington. The Honorable Craig A. Karsnitz was publicly sworn in for his first term as a Judge of the Superior Court of the State of Delaware at 3 p.m. on November 30, 2018 in Courtroom 1 at the Sussex County Courthouse in Georgetown. The Superior Court's Project Rightful Owner, together with the Consumer Protection Unit of the Delaware Department of Justice, and the New Castle County Sheriff, encourage homeowners who have lost their home due to a foreclosure sale to be proactive and check for any excess proceeds as a result of a Sheriff's Sale. 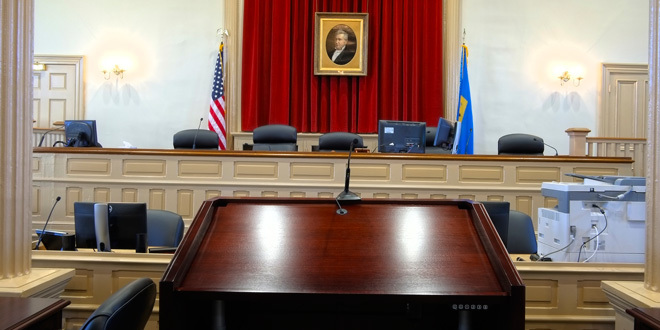 The Superior Court of Delaware is pleased to announce improvements to our existing Jury Management System. The Court has incorporated a new online Juror Qualification Questionnaire Response Portal called Jury+ Web Solution. The Delaware Judiciary was saddened to learn of the passing of Alda Jean Monsen, the retired long-tenured Law Librarian at the courthouse in New Castle County, and offers their condolences to her family and friends and many co-workers in the Judiciary. The Superior Court and the Judicial Branch have named Superior Court Security Officer Erika Bradley as the 2017 Employee of the Year. The Honorable Sheldon K. Rennie was publicly sworn in for his first term as a Judge of the Superior Court of the State of Delaware at 3 p.m. on April 27, 2018 in Courtroom 8B at the Leonard L. Williams Justice Center in Wilmington. The Delaware Judiciary was saddened to learn of the passing of retired Superior Court Judge Norman A. Barron on Feb. 13, 2018 and offer their condolences to his family and friends. Effective January 1, 2018, Superior Court adopts a new Civil Rule of Procedure 16.1. This mandatory non-binding arbitration rule addresses previously identified issues. In this new rule, the lawyers are charged with meeting the deadlines and in running the arbitration process. See, e.g., Civil Rule 16.1(d)-(f). More importantly, the arbitration process does not interfere with the issuance of a case scheduling order. See Civil Rule 16.1(h). Effective Monday, December 4, 2017, Superior Courtï¿½s hours of operation, in New Castle County, will be from 8:30 am to 4:30 pm. 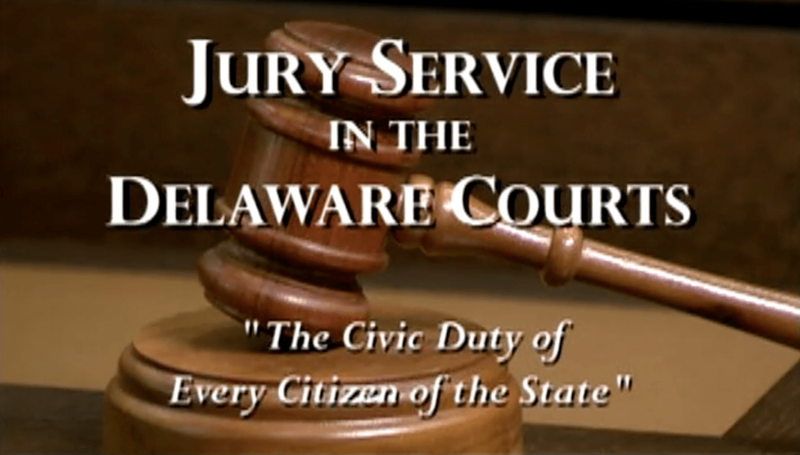 Watch the video below and discover what to expect when you come to a Delaware Court to serve as a Juror. 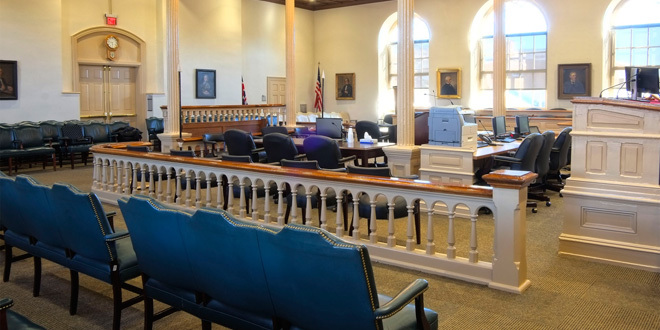 Superior Court has offices in New Castle County, Kent County, and Sussex County. You can find the addresses and phone numbers for those offices below. The Honorable Craig A. Karsnitz was publicly sworn in for his first term as a Judge of the Superior Courtof the State of Delaware at 3 p.m. on November 30, 2018 in Courtroom 1 at the Sussex County Courthouse in Georgetown.